China’s recent outbreak of African Swine Fever (ASF) in its domesticated pigs has been spreading widely since first emerging in August. As the world’s largest pig producer, this epidemic is disastrous as over 40,000 pigs have died or culled, and millions been inspected at farms, markets and abattoirs across China. 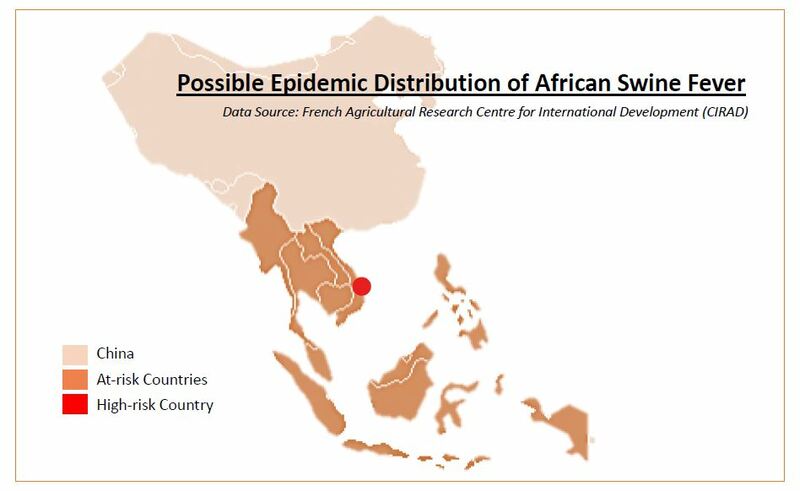 According to the United Nations Food and Agriculture Organization (FAO), one of the most worrying features of ASF is it can spread over long distances, thus neighboring countries in Southeast Asia are at extremely high risk. According to CIRAD, the virus carries huge impacts especially devastating socioeconomic consequences towards Philippines, Thailand and Vietnam, which have large pig industries. Vietnam is probably at highest risk, considering its common border with China and significant trade between the two countries. Thailand may be less vulnerable if it takes strict biosecurity measures, while insularity could protect the Philippines. ASF is caused by virus infection that affects only wild and domestic pigs, with no vaccine available. Infection causes skin rash, severe internal bleeding and accumulation of fluid in pig’s lungs. 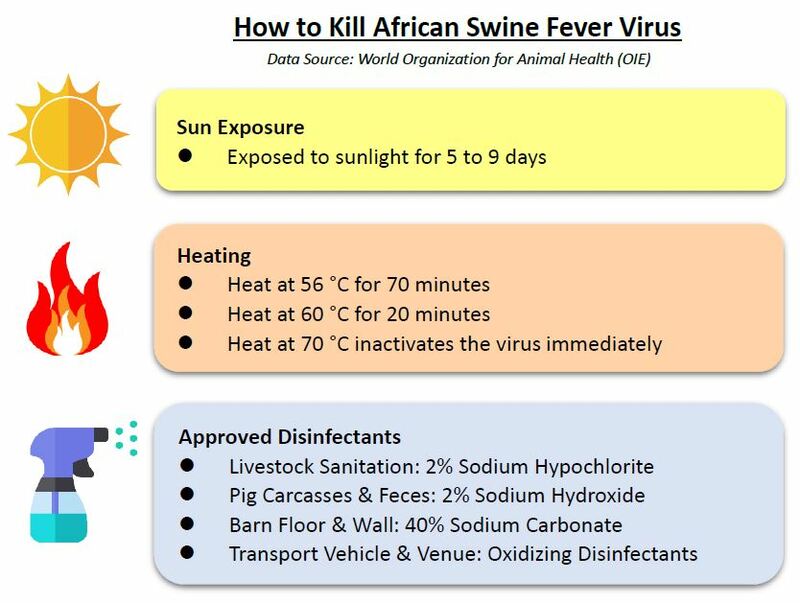 The virus can survive for months in chilled or frozen meat, resulting major threat to food biosecurity, but human consumption of infected pork is harmless as cooking inactivates the virus. Illegal movement of pigs or pork products across borders, improper disposal of food waste at entry ports, swill feeding, and illegal sale of infected pigs all contribute to wider spread of ASF. Operators are encouraged to wear appropriate protective clothing during disinfection for healthcare concern. ULTITEC 2000 and ULTITEC 3000T are recommended protective suits against liquid splash or particulate and biological agents, due to the premium microporous fabric offers an outstanding barrier against wide range of chemical liquids, blood, body fluid and infective agents. They have met DIN 32781 requirement for protection against pesticides while maintaining comfortability. Besides, their performance is proven for disease control and exceed WHO standard as they have been applied for Ebola infection control previously. With the above concern, we strongly encourage people in Southeast Asia to have emergency preparedness plans from now onwards. Due to the current virus strain that entered China is highly virulent, it is important to reduce further spread from the same source. Do keep an eye on international updates while try to figure out where and when the virus might make an entry.